‘’ The photo is from my keynote for the 100th anniversary of Nikon in Tokyo last month. The quote involves my (2!) 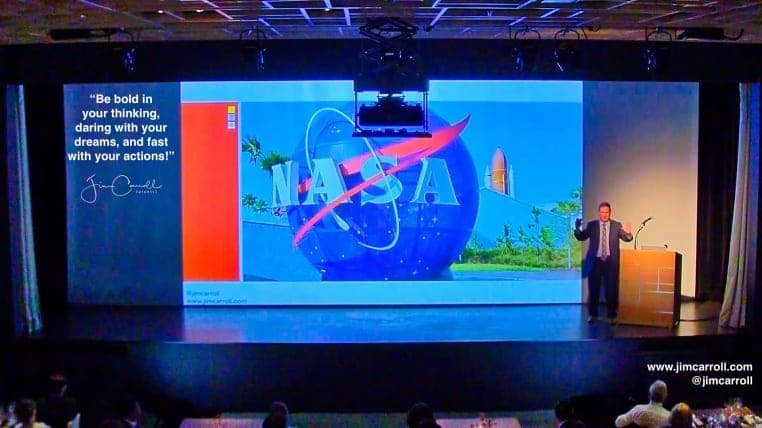 keynotes for NASA, an organization that has had me in (twice!) to help frame issues of future trends and innovation.